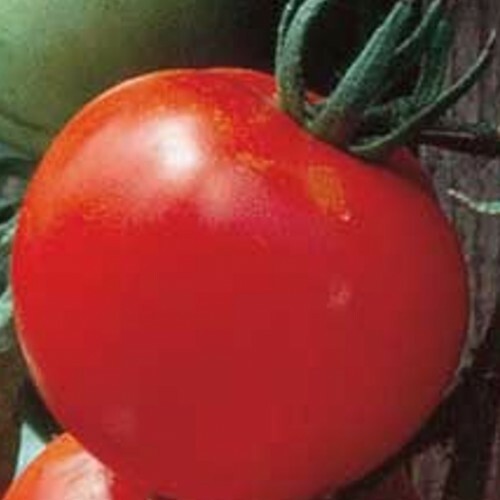 Knollwood-grown tomatoes give you a great healthy start to your favorite garden edibles. 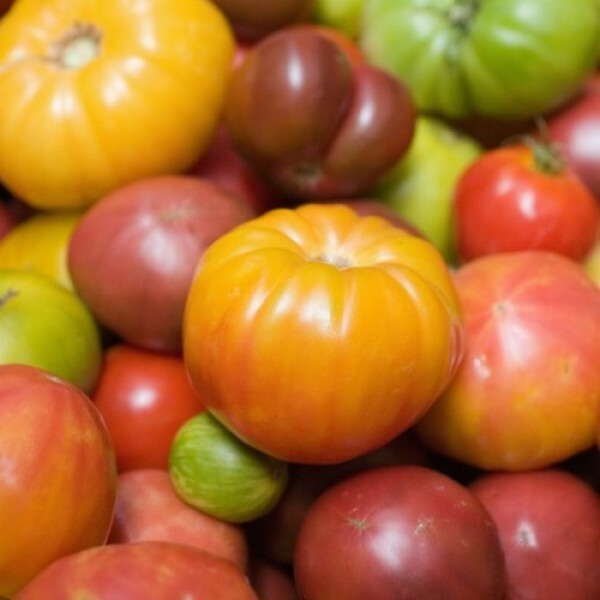 Below are our varieties grouped by Heirlooms, Cherry (bite-sized), Plum, and Salad/Slicing tomatoes. Look for plants to begin arriving in mid- to late-April, weather depending. 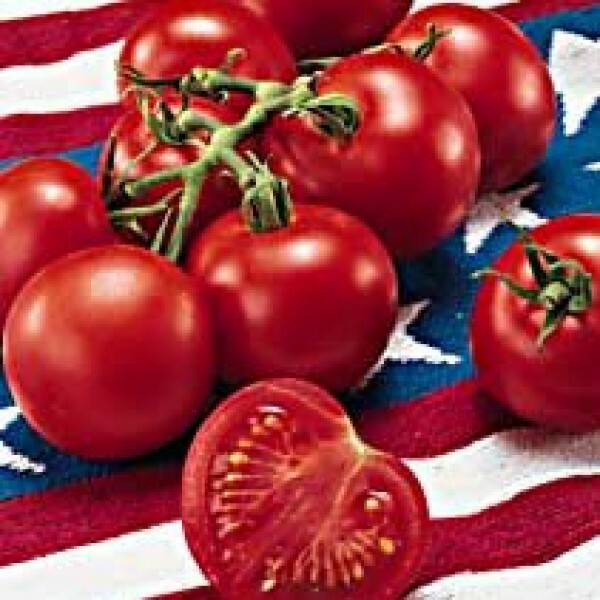 Great tangy flavor, keeps color when cooked. Good for slicing and sauces. 9 to 16 oz. fruit. Similar to Celebrity, good disease and crack resistance. Mild, true tomato flavor. 3-4” Beefsteak type. Extra juicy, firm, and tasty fruit is large enough to slice for sandwiches by early summer. 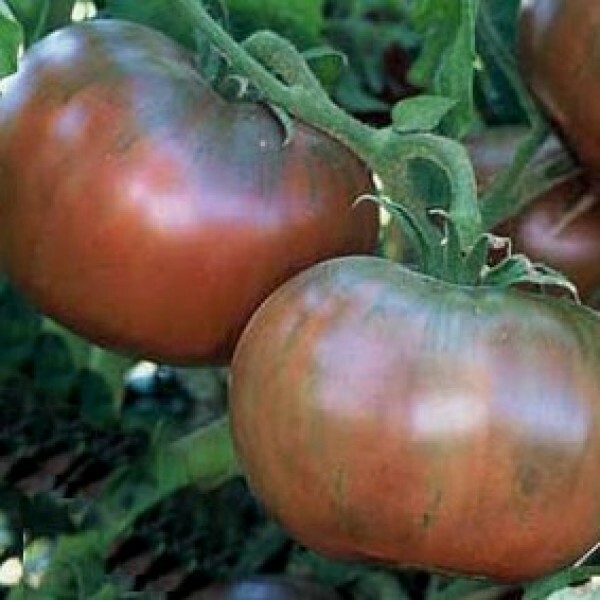 'Black Krim' A dark maroon beefsteak with a tangy, slightly salty flavor, a juicy texture and thin skin. 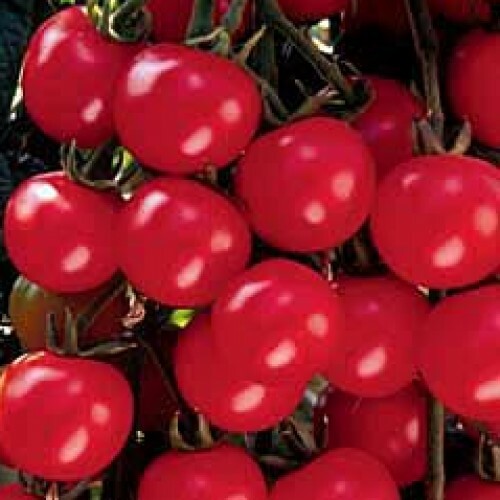 Compact plants produce large (1#), pinkish red fruits with excellent tomato flavor. Sweet, rich smoky flavor with a refreshing balance of acid. Very productive with loads of dusky rose to purple fruits. This golden-orange beauty has been around for a long time with good reason. 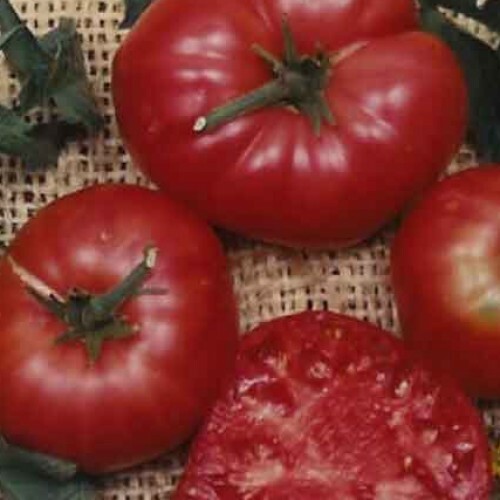 A sweet beefsteak type with low acidity, meaty flesh and very few seeds. 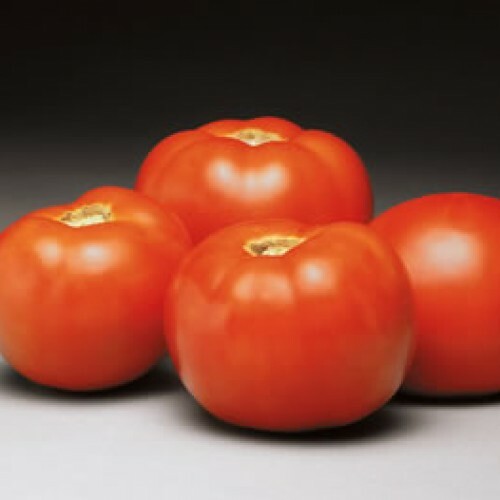 One to four pound fruits, nearly seedless; large, meaty, and mild-flavored, perfect for salads and sandwiches. Lower in acid than many varieties. 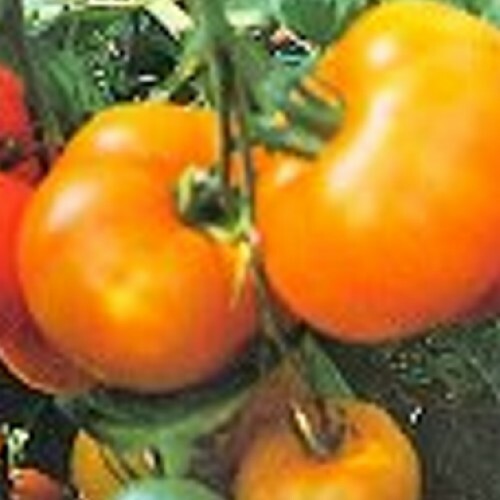 Huge crops of orange striped red tomatoes with a rich, tangy flavor. 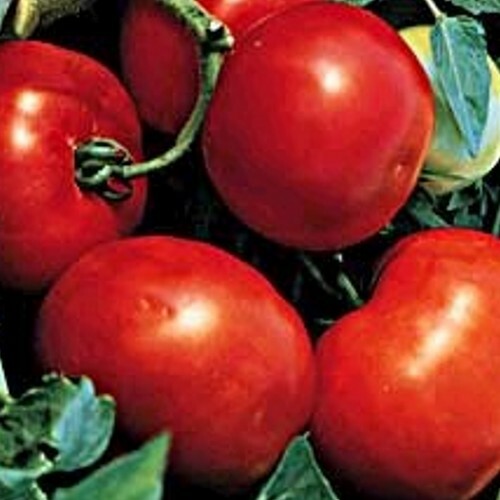 Yellow on top and red on the bottom, this very sweet tomato may reach 2 pounds! 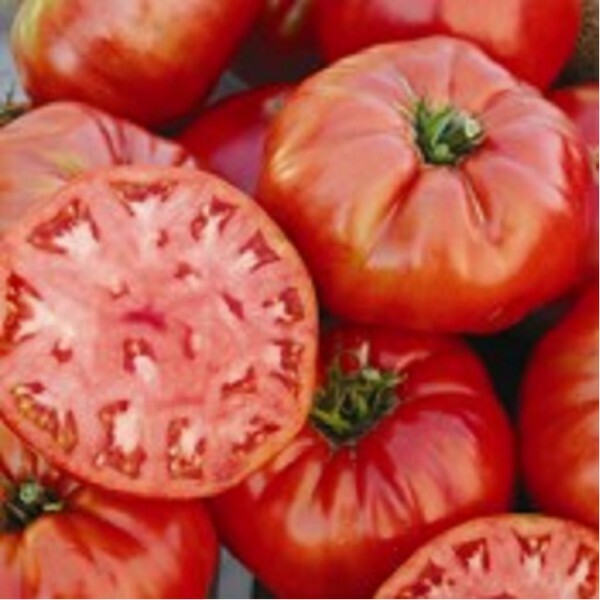 The famous Jersey tomato with fabulous flavor for both cooking and slicing. 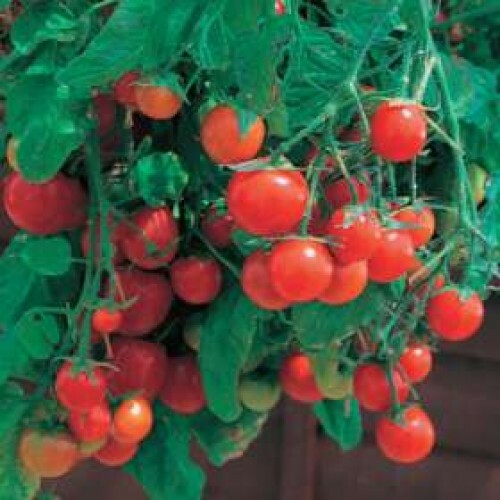 Cascading, sturdy vines are perfect for baskets or containers, loads of sweet, juicy, 1-2" fruit. 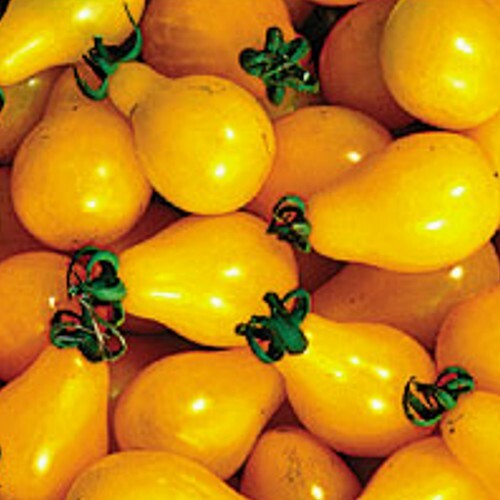 Bite-size bright yellow fruit is incredibly tangy. Rich and tangy flavor, deep mahogany color. 1" fruit are perfect for eating out-of-hand. 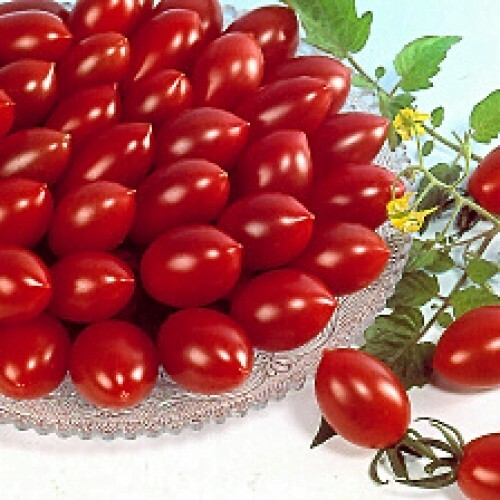 Classic cherry tomato: lots of 1 oz. fruit. 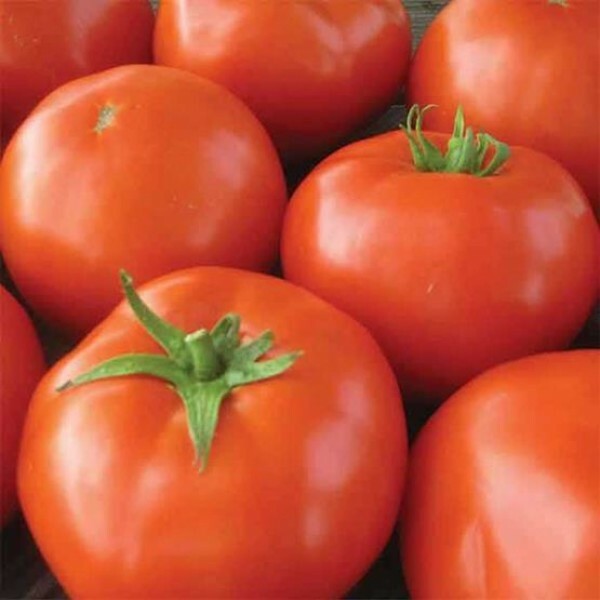 This is one of four varieties we also offer as a full-grown Patio Tomato in a very large pot. 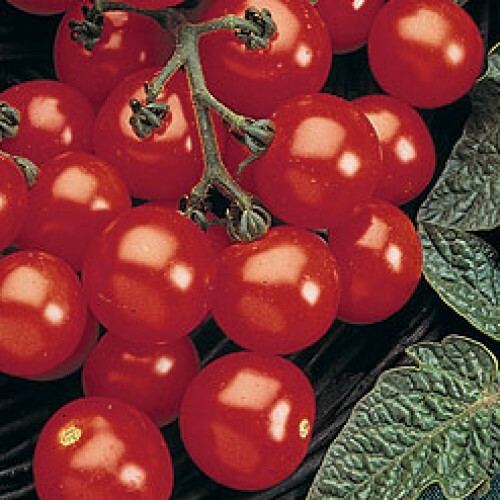 This cherry tomato offers a high yield of 1 to 2 oz. fruit, perfect for salads. 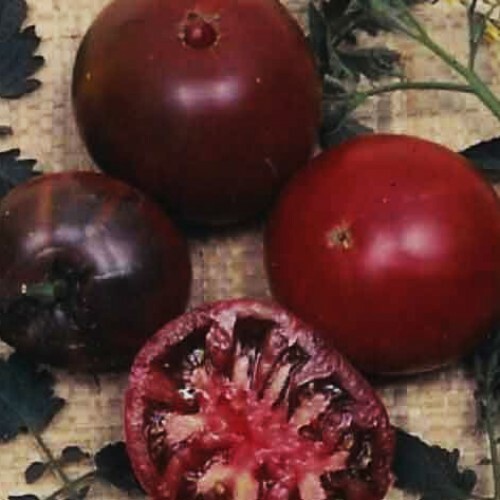 A dark pink grape tomato with a high yield of 1" fruits all season. 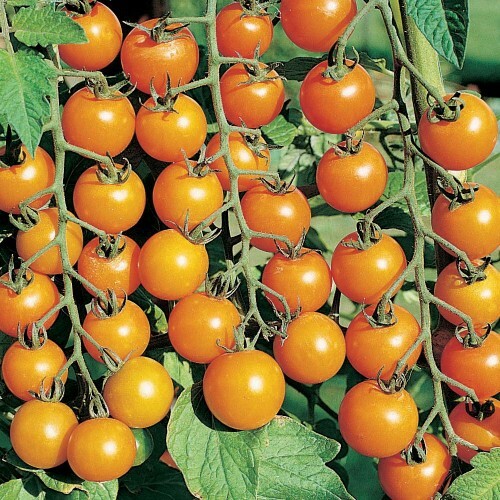 An improvement over Sweet 100, this little cherry tomato offers very sweet 3 cm fruit that is crack- and disease-resistant. Very high yield. 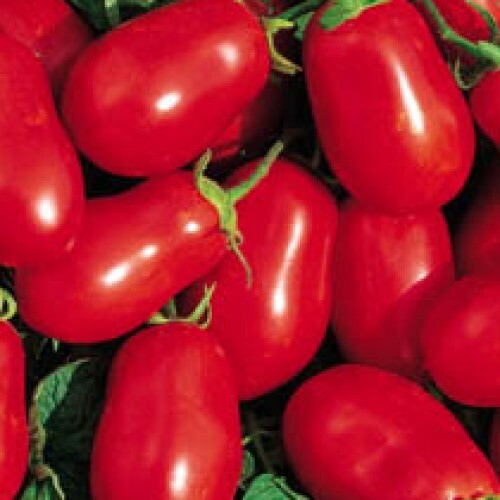 This Italian plum tomato is the best for making sauce and puree; low in sugar and acid.Grafted available. 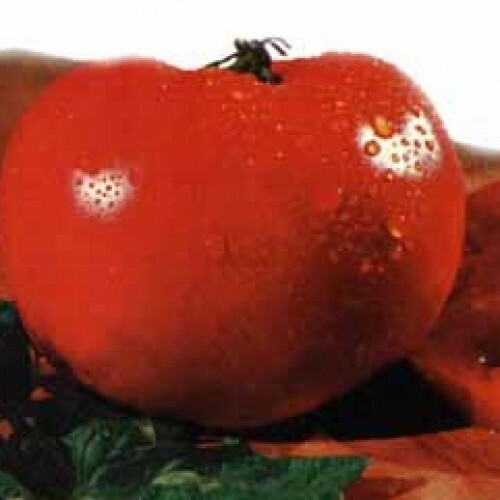 A beefsteak-type tomato with a very meaty texture, fruit up to 18 oz. 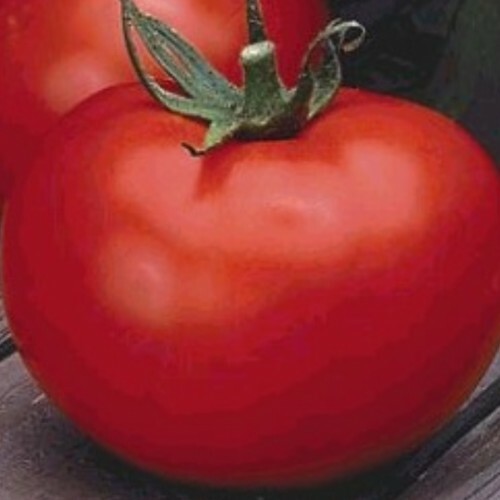 A classic: very disease resistant and a good slicing tomato at up to 16 oz. 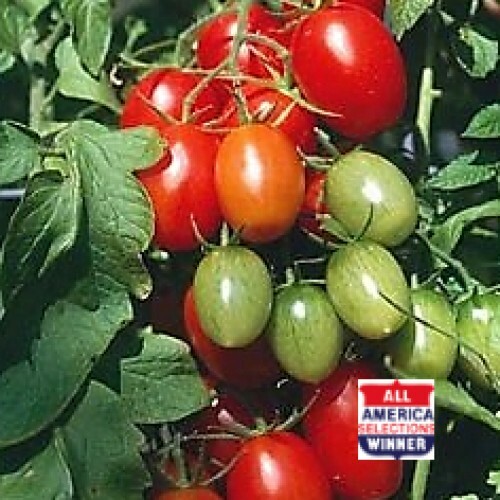 A very vigorous grower and highly disease-resistant with a super yield of 10-12 oz. fruit. 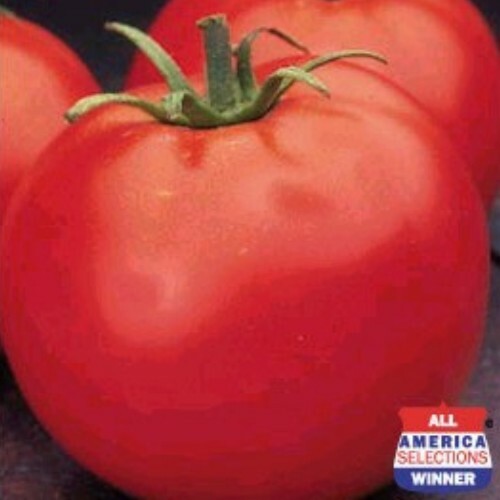 This is one of four varieties that we grow as Patio Tomatoes in large containers. 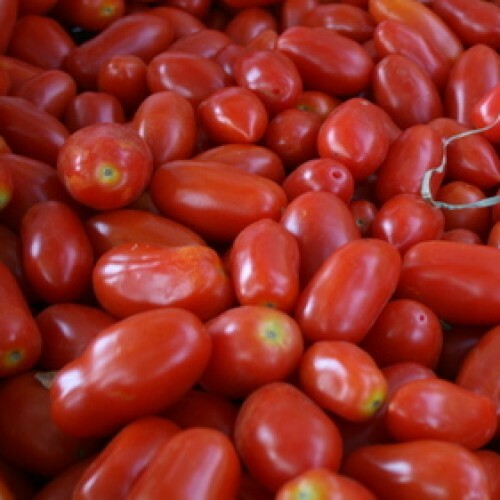 A solid, bright red tomato with outstanding flavor, it is equally good fresh or canned. 16+ oz. 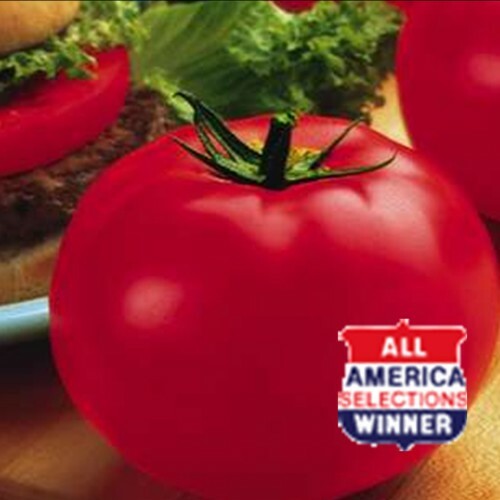 The best patio tomato out there: flavorful, meaty, and high in sugar content, huge red 3-4" fruits. 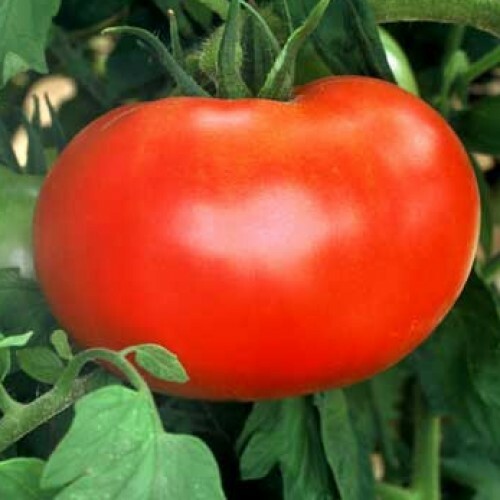 Obviously, one of the four varieties we also offer as a full-grown Patio Tomato. 1984 All America Selection. Exceptionally flavorful and crack resistant fruit up to 8 oz. 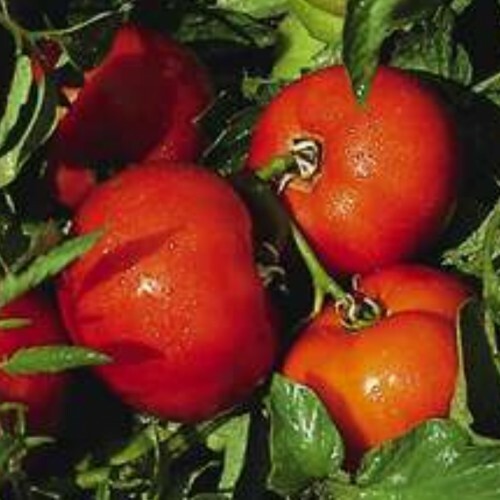 One of the earliest to produce fruit, and continues all summer long. 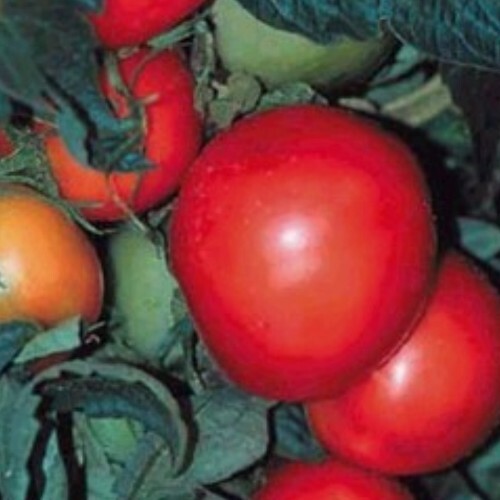 Big yields of firm, red-throughout tomatoes. Juicy, deep red fruit, 8-10 oz. 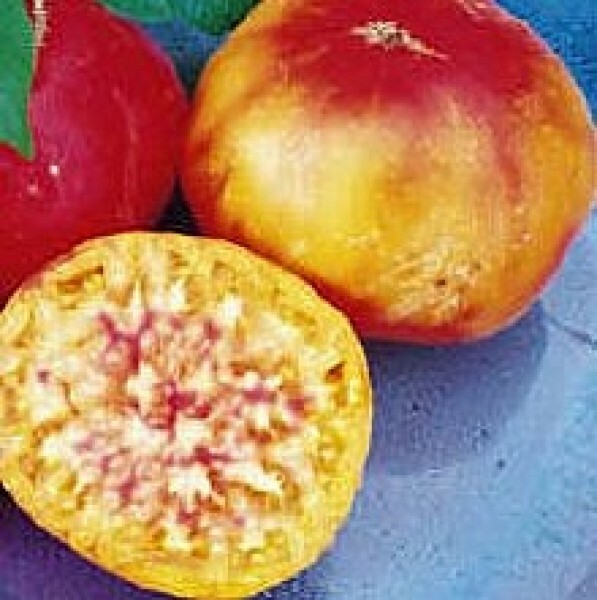 Huge red 3-4" fruits are flavorful, meaty, and high in sugar content...an excellent choice for roasting.